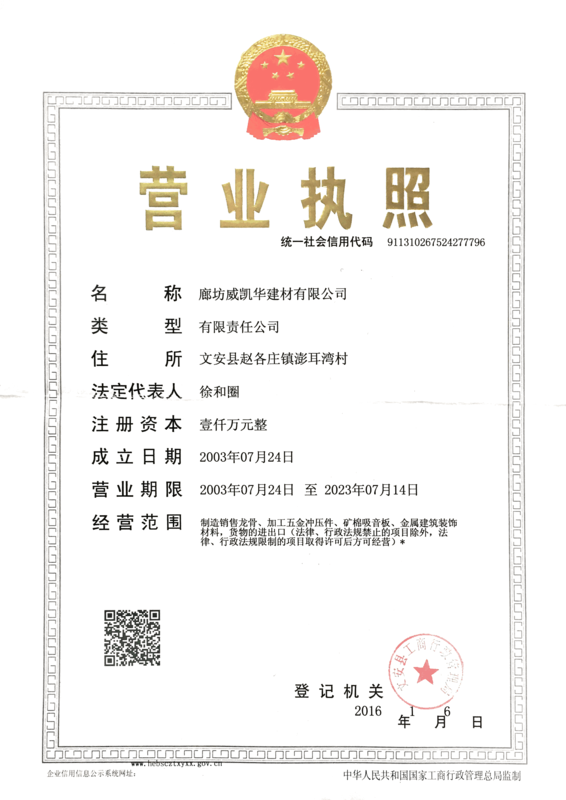 Established in 1992, WEIKAIHUA Building Materials CO.,LTD.locates near the pearl of North China-BAIYANGDIAN Lake. WBM enjoys high convenience of transporting is only 1KM away from the National way of 106 and 1KM away rom the railway of BeiJing to Jiulong. WBM occupys area of 20000 square meters,with the staff of 150 people ,our main products are paint coating ceiling grids,steel keels for drywall systems.The output reaches 9million square meters .